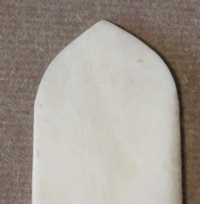 It’s hard to imagine a simpler and more utilitarian tool than a bone folder, but shape of the folder below is unmistakably Islamic or Turkish looking. I’ve never seen a tip like this on a European or American bone. It amazes me that such a simple shape can embody the complexities of national identity. It closely resembles a minaret or arch. This one was purchased from a cobblers supply store in Istanbul, is made from a fairly dense (cow?) 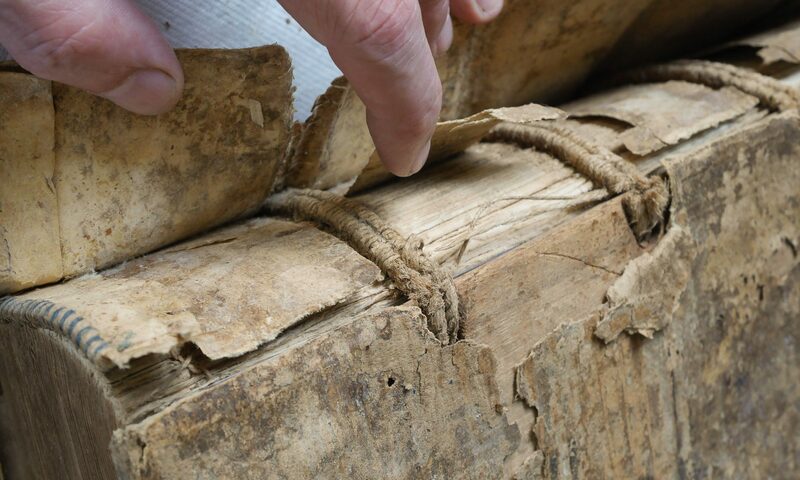 bone, rapidly fabricated with many deep scratches. I know it looks like a bone folder, and I’m sure in the right hands it would act like a bone folder, but I’m curious, do you know if it was intended as a bone folder? The fact that it was purchased at a cobbler’s shop implies it was used as some sort of cobbling tool, but I suppose it just as well have been used to prop up a wobbly table. Either way, it is impressive how a simple shape immediately evokes a particular culture. The man that sold it to me held it in his hand, almost like a pencil, and used it to score a line, hence the sharp tip. I assume the other end would be used as a burnisher. I have a couple of other American Cobbler’s bones that I will take pictures of. But I’m not really sure how it is used, and chances are different workers use it in different ways. This is a very underpriced product. Another product which resembles this one is “makta”. Makta is a small board for cutting bamboo pens. Since the customers of “makta” are artizans it is much more expensive than tis “Istaka”. I guess the price explains the finish. I heard that even the producers of Istaka are unwilling because of the prices. As I know, this is cow bone. About the shape… When I look at this tool, I feel like home. I see that our ancestors liked geometry very much, I guess they saw a sublime beauty in it. *:In Turkish alphabet, we have two different letters one of which looks like “i” even if it is uppercase; has a dot above aoth cases. The other one is without a dot. It is like “I” even if it is lowercase.